Alzheimer’s disease causes brain cells to die, so overtime the brain function starts to work less and less. This changes the person mental actions, and as the result it will decline the ability of the patient to do normal daily tasks. So, it will be tough for you to care them, especially when difficult behaviors like aggression or wandering occur. We have a few suggestions that will help you understand the changes in behavior and personality in a person with Alzheimer’s disease. Caring for someone with Alzheimer’s is a stressful job. It’s an emotional roller coaster of love, hope, loneliness, guilt, anger, and sadness. In such situation, no one can do it all alone. For both the senior’s and your own wellbeing, reaching out to home healthcare services in Nassau County Ny is the best way to care them. Finding a professional senior care company that specializes in Alzheimer’s and dementia care can help the seniors by providing safe, reliable respite care, including during the overnight hours. These are not the only common behaviors or problem of Alzheimer’s patient, they can have issues with dressing, bathing, eating and more. 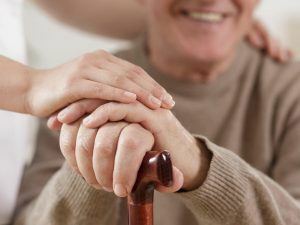 If you have a loved one with Alzheimer’s, seeking the help of home healthcare in Massapequa is the best option. They will help in dealing with the challenges and frustrations ahead.